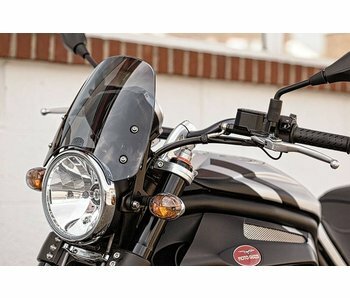 Fly-screen for Honda CMX500 Rebel sold as a complete kit. DART brand, made in England. 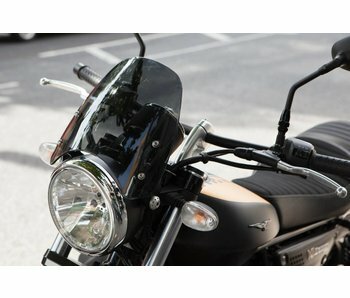 Fly-screen for Honda CB1100 (all versions 2010+), sold as a complete kit. DART brand, made in England. Flyscreen for Moto Guzzi V7 sold as a complete kit. DART brand, made in England. 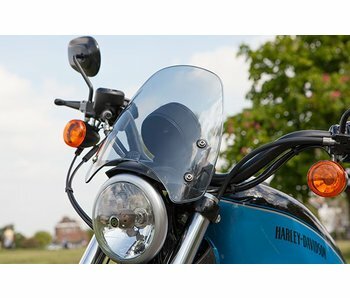 Fly-screen for Harley-Davidson Sportster XL883/XL1200 sold as a complete kit. DART brand, made in England. 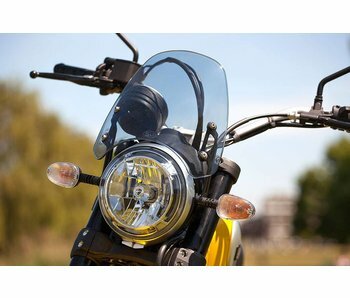 Fly-screen for Ducati Scrambler 400/800 sold as a complete kit. DART brand, made in England. 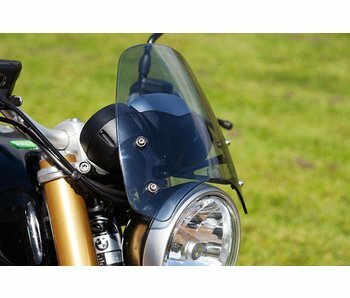 Fly-screen for BMW R nineT sold as a complete kit. DART brand, made in England. 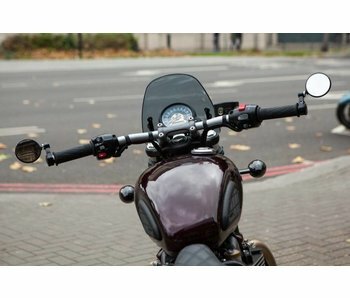 Fly-screen for Triumph Thruxton 1200 and Thruxton R, sold as a complete kit. DART brand, made in England. 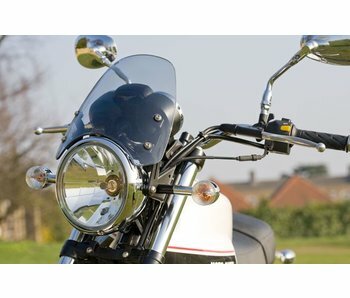 Flyscreen for Moto Guzzi V9 sold as a complete kit. DART brand, made in England. 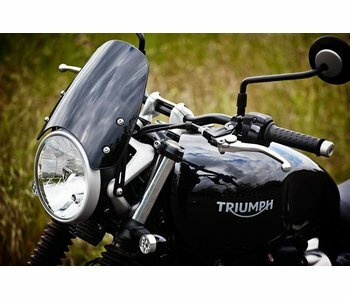 Fly-screen for Triumph Street Scrambler sold as a complete kit. DART brand, made in England. Fly-screen for Kawasaki W650 / W800 sold as a complete kit. DART brand, made in England. 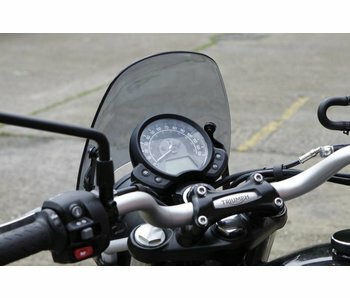 Fly-screen for Triumph Street Triple 675 (2007-2016), sold as a complete kit. DART brand, made in England. 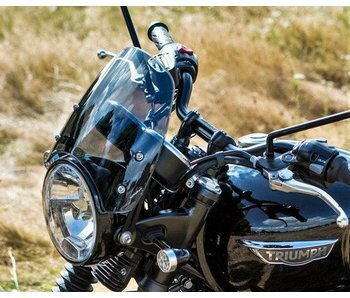 Fly-screen for Yamaha XSR700 sold as a complete kit. DART brand, made in England. 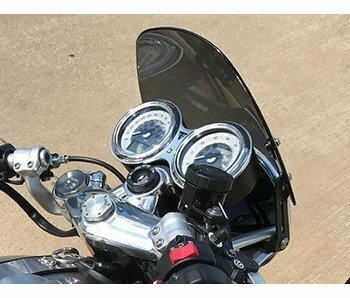 Fly-screen for Triumph America and Speedmaster sold as a complete kit. DART brand, made in England. 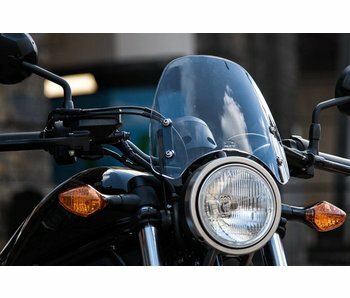 Fly-screen for Yamaha XSR900 sold as a complete kit. DART brand, made in England. Fly-screen for Yamaha SCR950 sold as a complete kit. DART brand, made in England. 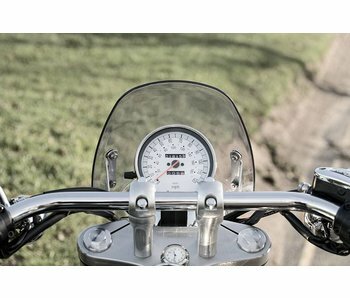 Fly-screen for Royal Enfield Continental GT sold as a complete kit. 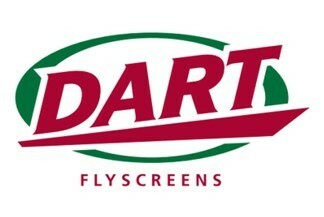 DART brand, made in England.